Thomas Brox is interested in all aspects of computer vision with particular focus on video analysis, deep learning, and 3D representations. More details about the main research topics can be found on the team's research page. Thomas Brox received his Ph.D. in computer science from the Saarland University, Germany in 2005. Afterwards he joined the Computer Vision Group at the University of Bonn as a postdoctoral researcher. He headed the Intelligent Systems Group at the University of Dresden as a temporary faculty member for one year. After two years as a postdoctoral fellow in the Computer Vision Group of Jitendra Malik at U.C. Berkeley he moved to the University of Freiburg, where he is heading the Computer Vision Group. Prof. Brox is associate editor of the IEEE Transactions on Pattern Analysis and Machine Intelligence and the International Journal of Computer Vision. He has been an area chair for ICCV 2011, ACCV 2014, ECCV 2014 and ICCV 2015 and reviews for several funding organizations. 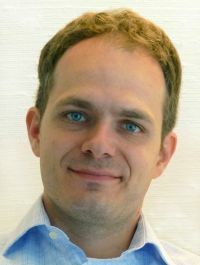 He received the Longuet-Higgins Best Paper Award in 2004 and the Koenderink Prize for Fundamental Contributions in Computer Vision in 2014 for his work on optical flow estimation. In 2011 he was awarded an ERC starting grant.